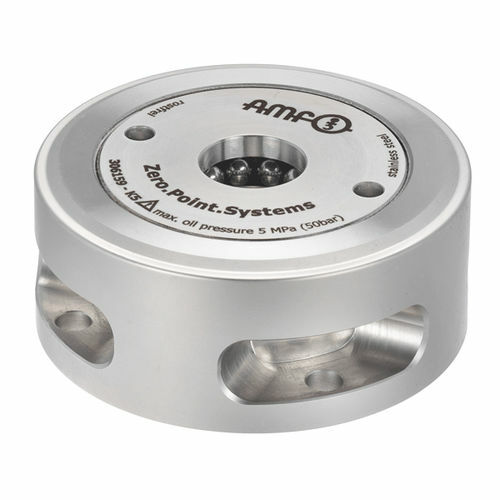 Zero-point clamping system for set-up-time-optimized clamping with cutting and non-cutting processing in all areas, also in the food, pharmaceutical and chemical industry. The surface-mounted clamping module has high holding, pull-in and locking forces. This is opened hydraulically (1) and mechanically locked through spring force. Subsequent uncoupling of the pressure lines is possible at all times (module is tensioned pressure-free).